On Tuesday, January 29, 2019 Eugene Juliat Blanke died peacefully at his home in River Ridge surrounded by his three devoted daughters. Eugene was preceded in death by his beloved wife, Lucille Blanchard Blanke, with whom he shared a blessed life of abounding love and adventures. He was also preceded in death by his parents, Marceline Bonpunt Blanke and Robert H. Blanke, Sr. as well as by his brother, Robert H. Blanke, Jr.
Eugene is survived by his daughters, Helen M. Blanke, Janet Blanke Wilbur and Madeleine Blanke Richard and his son-in-law Glenn G. Richard. Grandfather to Erin Juliat Tanzey (Patrick), Ernest A. Wilbur, IV, Sara M. Richard (Mike) and Gerard "Bub" Richard (Amy). Great grandfather to Isabella, Madisyn and Sophia. He is also survived by numerous nieces and nephews. The family would like to thank Cathy Snee for the gift of her friendship that brought a great deal of happiness and support to all of us. With deep appreciation the family acknowledges the care, spiritual comfort and good humor provided by Elein, Joy, Barbara and Adrienne. 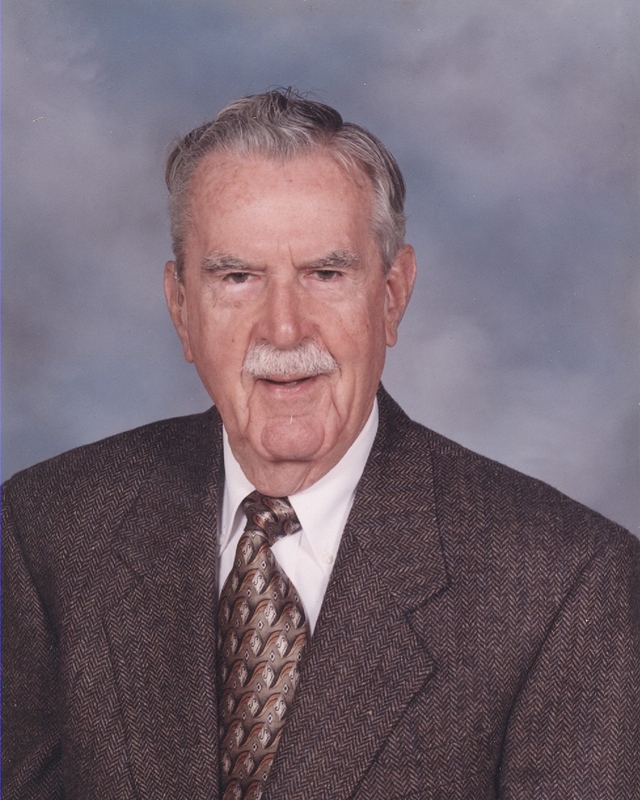 Eugene was born on December 15, 1921 in New Orleans, was married and raised his children in Saint Alphonsus Parish before moving to River Ridge where he served Saint Matthew the Apostle Parish through numerous ministries including the Saint Vincent dePaul Society and the Knights of Columbus. Eugene received the Order of Saint Louis Award as well as the Apostolic Blessing from Pope Francis. Educated at Loyola University where he received his Bachelor's degree, Eugene went on to earn a Master's degree in Music Education from LSU. Throughout the course of his life he taught music and performed with various bands, including the Marine Corp Band. As an educator, he worked in both the New Orleans Diocese and in the Jefferson Parish Public School System. He served in WWII as a United States Marine and was gravely wounded in the battle of Tarawa and again in the West Loch Disaster. Eugene received the Purple Heart from Admiral Nimitz. Following the war, he was an active member of the American Legion and The Forty and Eight. He assisted fellow veterans through his faithful work as a dedicated volunteer. Eugene was a talented musician and a gifted artist who worked with oils and watercolors. He was an inspiration who encouraged those he mentored to keep the brushes moving. He enjoyed Mardi Gras and had been a member of the Krewe of Carrollton and Bards of Bohemia. At the age of ninety-four he was amid the crowd watching Rex roll down St. Charles Avenue. Eugene's life was a beautiful example of service to others and unwavering love and steadfast support to his family. Most of all, he lived his life as a true child of God. This good and faithful servant has returned home having earned his heavenly welcome. Visitation will be on Monday, February 4, 2019 from 11:00am until 2:00pm at Greenwood Funeral Home, 5200 Canal Blvd., followed by a Mass of Christian burial. Interment will follow at Metairie Cemetery. In lieu of flowers, Masses are preferred.